Screw hook. Can be used as a ceiling hook to hang plants or bulbs. Self tapping screw tip bites into wood quickly and easily. For use in indoor and outdoor applications. 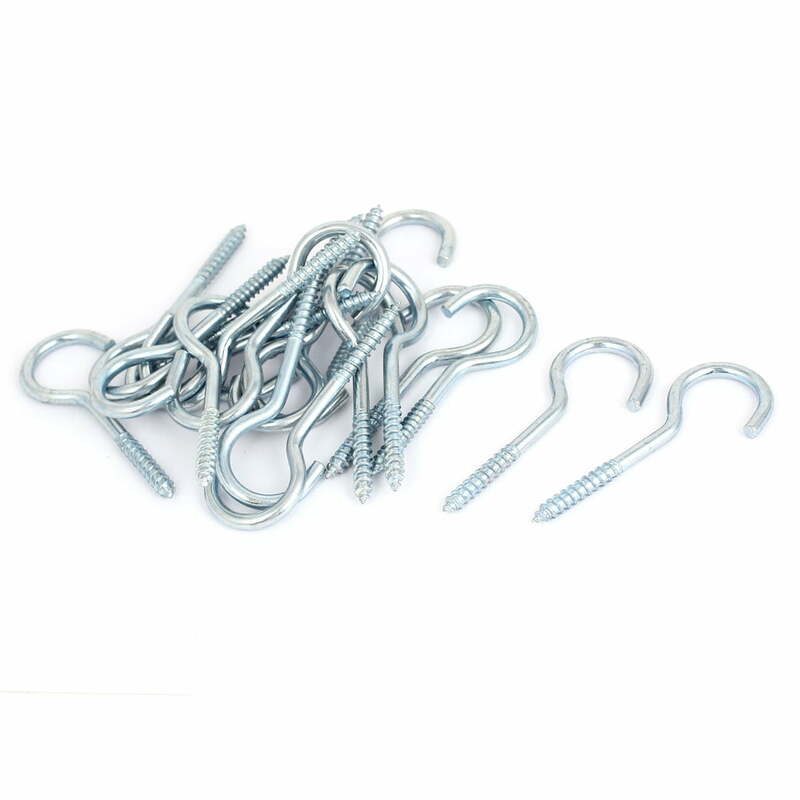 Overall Size: 65 x 26mm/ 2.5" x 1"(L*W); Hook Shaft Dia: 4mm/ 0.15"